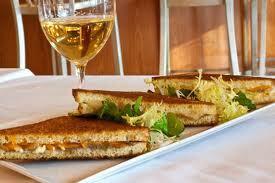 I love adding things to my grilled cheese and using other breads. Good luck with your book. My husband’s fatorive is two pieces of garlic bread and some shredded bbq chicken in between them, heat until the bread is kinda crispy on the outside and serve pickle spears if you don’t like garlic use regular bread with a little bit of mayo and a bit of bbq sauce.My daughter’s fatorive would be a kind of S’mores sandwich: cinnamon raisin bread, mini marshmellows and lots of Nutella chocolate; heat til it’s all melted and the bread is a little crusty (YUMMY)Other than sandwiches you can make omelets in there, you can make filled fritters, French toast, fruit pancakes (breakfast) mini meatloaves, chicken cordon bleu, stuffed fish fillets,etc (dinner).E-mail me if you want some recipes. And to think I thought I was being creative by putting tomato slices on my grilled cheese sandwiches! Can’t wait to check out your recipes Shane! I love some grilled cheese! Never thought about experimenting with what I put in them! They start putting advertising on wordpress, and the first ad I get is a video of some dork in his underwear drinking some stupid soda?? Awesome. I apologize to my readers for this foolishness.